Our standard rooms are fully equipped with all the amenities needed to make your stay as comfortable as possible. There are different room layouts available which include rooms that can cater from 1 up to 3 people. 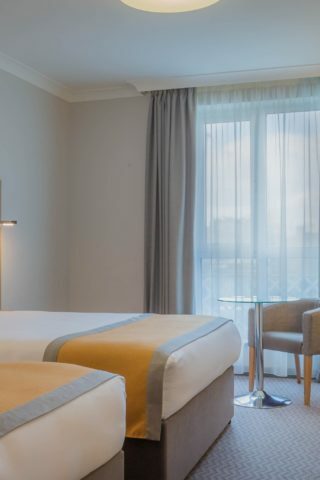 All our rooms are comfortable and stylish, making Maldron Hotel Newlands Cross the ideal base for your visit to Dublin. Why not enjoy a delicious buffet breakfast when you wake up the next morning in the grain and grill restaurant, with a great selection of food on offer it is the best way to fuel your day. We also offer complimentary use of our dry fitness suite for all guests staying in the hotel, so it is the perfect place to get a workout in while you are away.